Are you fluent in guinea pig? Being very social creatures, these adorable furry creatures have a language all of their own that they use to communicate their feelings or information their environment to other guinea pigs. Especially when housed in multiples, guinea pigs will verbalize to each other throughout the day. But not all squeaks and chatters are alike--some sounds mean different things in different pitches or when accompanied with different body language. 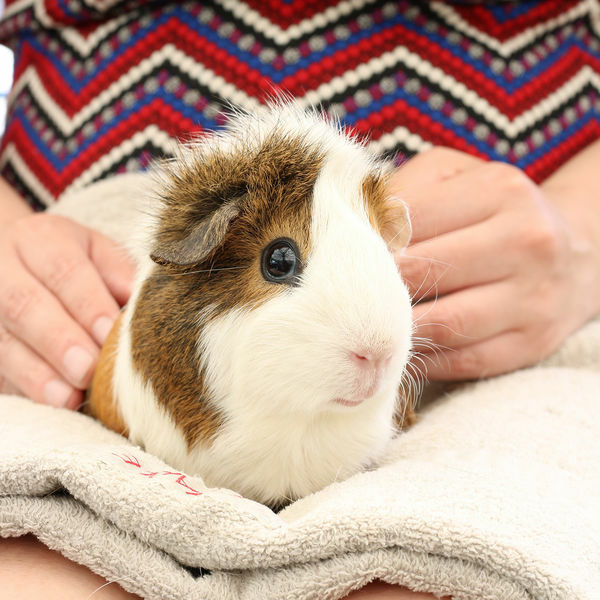 With a basic understanding of these verbal and non-verbal cues, you can become fluent in guinea pig and start to understand how your companion is feeling throughout the day. Wheeking – One of the most well-known noises they make, you might hear this loud whistle-like squeal when giving your guinea pig a treat. It's surprising to hear this loud sound come from such a small creature, but you will quickly come to love your guinea pig’s endearing squeaks of happiness! Purring – There are various different purrs a guinea pig can make to share how they are feeling. A comfortable guinea pig may make a deep purr, while a higher pitched purr is usually a sound of annoyance. There’s even a purr for uneasiness or fear which is usually followed by the guinea pig being motionless. Cooing – Sounding very similar to the cooing of a dove, this guinea pig sound is most often used by mothers to give reassurance to their young, but can also be heard between adult guinea pigs.Teeth chattering – When you hear this sound, you can translate it to “back off”! This warning sound of aggression is used when guinea pigs are angry or upset. Popcorning – The ultimate sign of guinea pig happiness is a rapid hopping up and down that is fondly called “popcorning” for its similarity to popcorn popping in a pan. When you see this, you can feel sure that your guinea pig is very happy and enjoying life! Freezing – When guinea pigs sense danger or are nervous, they will often freeze on the spot. This will happen pretty often, but usually lasts for just a moment or two. Strutting – There are different kinds of struts a guinea pig might make. A strut with teeth chattering is a sign of aggression, while a strut combined with a rumble (called a rumblestrut) is a sort of mating display for guinea pigs. Rubbing – Like many other animals, guinea pigs rub their chins and cheeks against items to claim them as their own. They might also pee on things to mark territory and show dominance, particularly when introducing a new animal to their environment. Running Away – As natural prey creatures in the wild, guinea pigs don’t like to be picked up and handled as it makes them vulnerable. Even with four paws on the ground, sometimes petting your guinea pig may result in a scamper for cover, but don’t be disappointed--they probably just aren’t in the mood for petting. When they’re ready for more loving, they will let you know. Mounting – This behavior is usually associated with mating, but guinea pigs will also mount each other regardless of gender to show dominance and hierarchy. Crunchy treat stick sized for large parrots made with real apricots, cherries, and sunflower seeds. 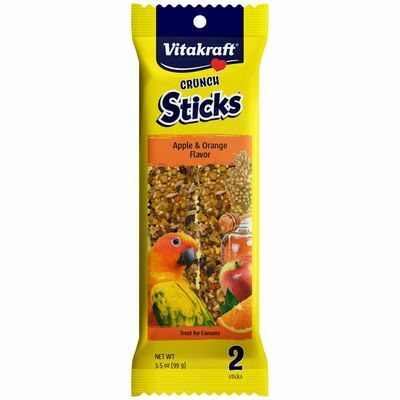 Crunchy treat stick sized for large parrots made with real apple, apricots, and honey. 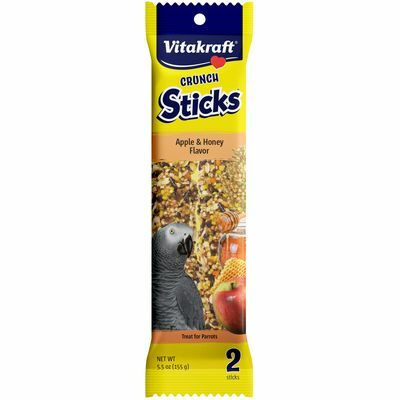 Crunchy conure treat stick made with fruits, grains, and fortified vitamins for a tasty, healthy reward.